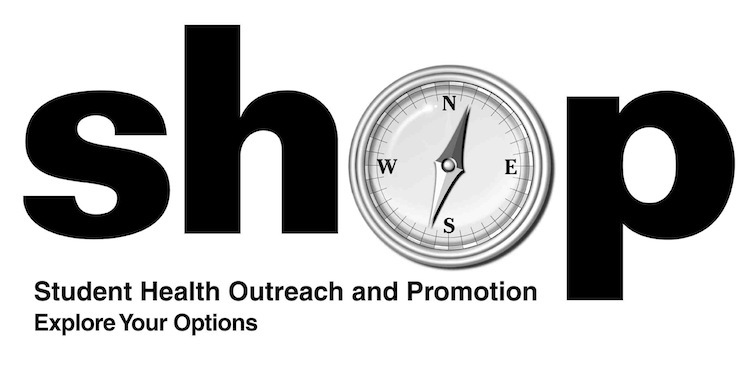 SHOP is UCSC's Student Health Outreach and Promotion Program and a destination for information. SHOP is where students can go to learn about health and wellness in a safe, non-judgmental environment. SHOP offers information, education, resources and support on issues such as Alcohol and other Drug Use, Sexually Transmitted Infections and Sexual Health, and College Life balance. All UCSC students are welcome and encouraged to drop in and speak with SHOP's trained staff. SHOP is located in the Student Health Center, across the street from Colleges 9 & 10. As you walk up the ramp to the Health Center, SHOP is located in the building on your left, next to the Pharmacy.